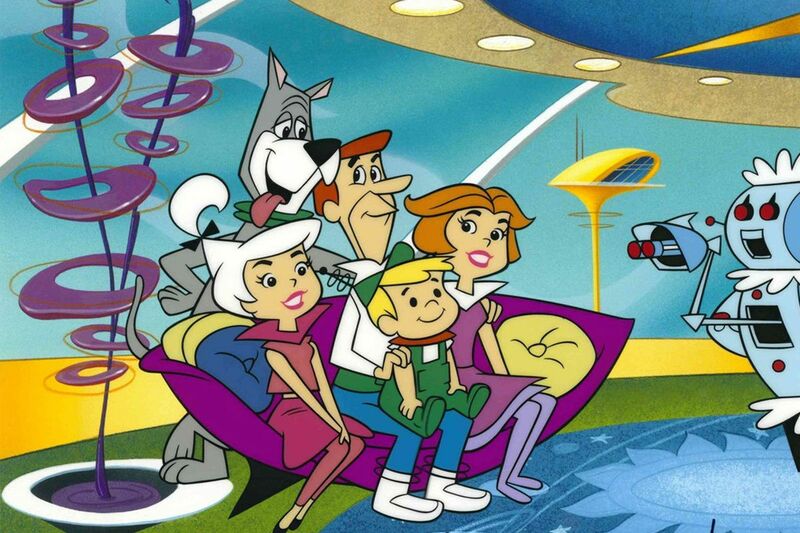 When I was a kid, we watched The Jetsons and marveled at their push-button world with their robotic maid and flying cars? It’s 2019. Where the hell are the flying cars? Video calls would be the norm, and everyone would work on computers. The only thing missing was living in apartments in buildings high off the ground that looked like flying saucers and sat atop metal pillars. Well, it’s 2019. I drive an aging Volkswagen and live in a Cape Cod built 97 years ago. I still have to drive on asphalt, and there’s a turntable downstairs in my office. That’s right. My wife’s employer pushed a button and ordered a car over the Internet to take her to work. Mind you, I do Uber, so I’m usually on the other side of this equation. Perfect strangers hop in my car and pay me to take them places. What’s more, had this been a weekday, I might have been content to leave my own car in the snow. No, I wouldn’t call off work. I grew up in Cleveland, where 6 inches of snow meant you left for work half an hour earlier and were born knowing how to drive. No, I would have pulled up an app on my phone, called up a web site, and used the key code in the app to log into my computer at work. I’ve done it several times, including during a recent bout of flu. I don’t take sick days. I just remote in when I’m contagious. The beauty of it is I can work and watch Netflix at the same time. Oh, and let’s talk about television. When I grew up, there were three networks, PBS, and a couple of indie station with lots of syndicated reruns and low-budget horror movie shows. You got up and walked across the room to change the channel. I lived in an area with cable because reception in the town where I lived sucked. But most people I knew had antennas mounted on tall towers alongside their houses or on their roofs. If you had rabbit ears, you occasionally had to do arcane things with tin foil or twist and bend them until the signal came through. Now? We have three TVs in the house, all of which have this USB fob called a Roku sticking in the back. It connects to the wireless router through which I get my Internet and allows me to stream pretty much anything I want on-demand. That’s right. I don’t have to be in front of the TV at 9 PM on Sunday night to watch Game of Thrones (although I usually am as I, like everyone else, wants to see it in realtime.) I can watch anything anytime I want. Ladies and gentlemen, we may not have flying cars (yet) or robot maids (though Roomba is pretty cool), but we most definitely are living in the future. Now if you’ll excuse me, I have to order a pizza on my phone. Yeah. There’s an app for that. I am mildly amazed at the correctness of some predictions, and the utter nonsense of others. In SF there seems to be a tendency towards placing usable developments in the immediate future (we were supposed to FTL by 2000 in some books). What I find convincing in writing is when day-to-day technology is taken very casually. We relate to our “amazing” (by 1920 standards) gadgets in our kitchen and office as the forgettable, replaceable imperfect junk that they are. Moon’s universe has implantable computers that do incredible stuff (by 2019 standards) and it isn’t treated as a big deal because everyone without religious objections has one, People still hunt up the right recharge cable. Inherently big and risky ventures, like space ships would still probably have a wow factor, as most people get now seeing a 700 freighter up close unloading in Cleveland or the farm kid stepping aboard the 110 foot long galleon for the first time. Boarding a 737…maybe somewhere in the middle.